In our previous article we mentioned that the Disk Defragmenter has been simplified a lot. In this new version, the user interface doesn't allow users to select only one of their partitions for defragmentation. You can defragment all your partitions at once or none. However, this doesn't mean that users they cannot customize the Disk Defragmenter at all. You can always start the Command Prompt and use the appropriate command line parameters to obtain the results you want. 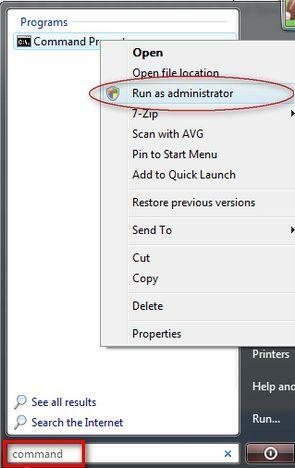 When you start the Command Prompt, it is better to right click on its shortcut and select the Run as administrator option. Once the Command Prompt is started, type "defrag" or "defrag.exe" plus the appropriate parameters and Disk Defragmenter will defragment or analyze the partition you want. -? - displays help information about how to use "defrag.exe". (e.g. "defrag -?"). defrag d: -w -f - makes a full defragmentation of your "D:" drive, even if the space available is lower than 15%. how can you find the history or scrip on your computer that shows you everything that has been done on your computer? Windows default defrag option is the safest, we should avoid using any third party applications. Safe? Just run a chkdsk /f and reboot before defrag. Many defrag tools out there are as limited as 'defrag'. Contig (Microsoft Freeware) allow us to defrag any specific files. If choosing verbose mode, do details come as they occur (like in the old Defragmenter where you could "watch it work"), or is it a detailed analysis that pops up all at once when the defrag is done?? ?